My husband loves the frozen burritos that you buy at the grocery store. I don’t understand why, they kind of gross me out. Any ways he used to buy them quite often and take one with him to work, microwave it, and have it for lunch or dinner. When I saw this recipe over at the Finer Things in life it reminded me of those frozen burritos but I just knew that they had to taste better and be better for you. So I gathered up all the ingredients and made a batch. Just as I had finished up the meat mixture my kids came in and said they wanted lunch. I made each of them one of these and they were gone with in minutes. My son then had another after he finished his first. What a huge hit these were and since it made 24 burritos I know that we will have enough for a few quick and easy meals during a busy night. 1. Brown ground beef and drain. Add remaining ingredients (except tortillas). Bring to a boil. Reduce heat; cover and simmer for 20 minutes. 2. Heat 3-4 tortillas at a time. Spoon 1/4 cup beef mixture down the side of each tortilla. 3. Roll up. 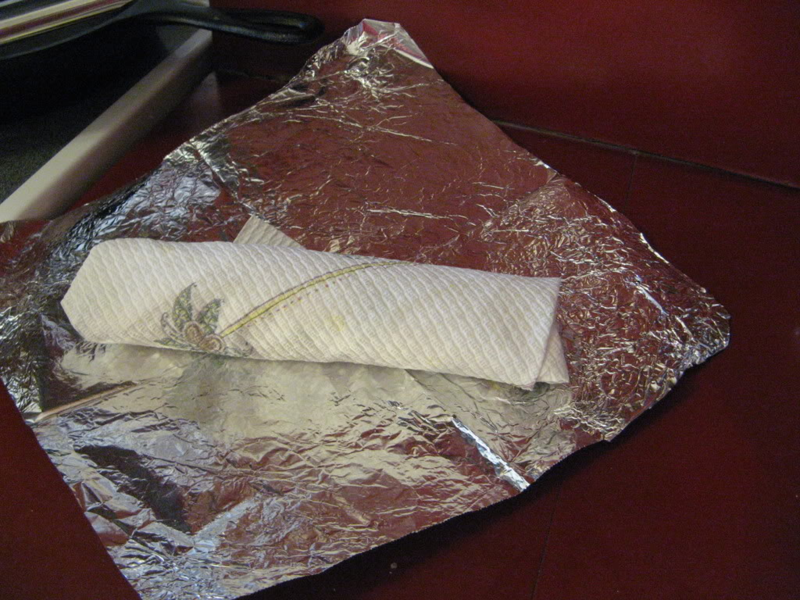 Wrap each burrito in a paper towel, then wrap in foil. 5. When ready to eat, remove foil and microwave for about a minute. The paper towel keeps the burritos moist. You can also heat burritos in the oven wrapped in foil, just make sure to remove the paper towel before heating.